MEND programmes are run by our community-based delivery partners. Vacancies for jobs on MEND programmes are normally filled locally, rather than via our head office. To register interest in working on a MEND programme, complete our opportunities form. Most volunteering opportunities on MEND programmes are filled locally like job vacancies, but if you would like to learn more about how you might be able to volunteer for us please email info@mytimemend.co.uk Or find out more about corporate volunteering with MEND. Unfortunately we are currently unable to offer student placements or work experience within MEND but we hope to do so in the future. Please keep checking our website for updates. Because we work with children we carry out enhanced Criminal Records Bureau checks on all our staff. 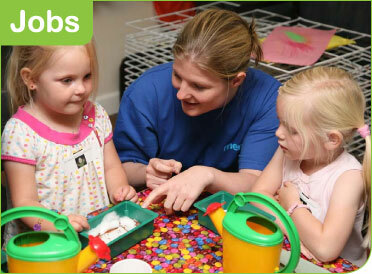 Visit the current vacancies page for details of all jobs currently being advertised by MEND.